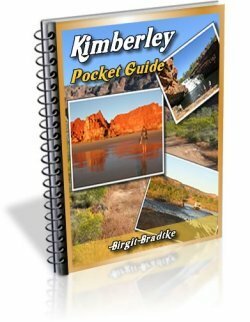 Kimberley and NT free trip planning service, car hire and self drive packages. You need to put an itinerary together that includes everything you want to see, in the time you have available, and that is actually doable. You need to decide on a car hire company. Both issues have the potential to make or break a trip, the latter in spectacularly costly fashion. Most of my readers are aware of this and the resulting flood of email questions is never ending. That's why I am thrilled to finally be able to offer you help. Or rather, that we are able to offer you help. Time does not allow me do this myself or I would have already been doing it all those years. But luckily I know someone who actually has been doing it all those years! When you book a campervan or self drive package with Bluey Travel, you also get the benefit of their experience when putting your trip together! Booking your 4WD or campervan and your accommodation through Bluey Travel will not cost you more than booking with the providers directly. Guaranteed! 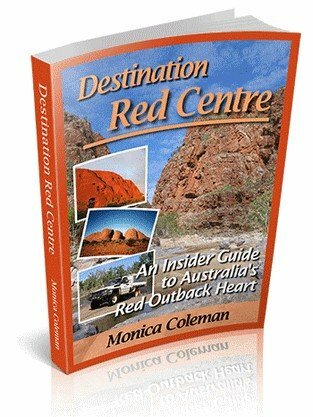 Free WA national park entry as well as El Questro Station Wilderness pass. 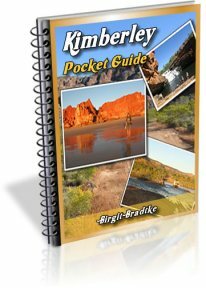 Here are some ready made Kimberley itineraries to get you started, and here are even more that include the Northern Territory as well. You can also create your own itinerary from scratch. If you left things too late and it seems like everything is booked out, they will try to help you find availability and tweak your plans so that you can still see all the places you want to see! You also get a personalised travel pack, unique and specific to your itinerary. It is printed, bound, and will be mailed to you before you travel so you have time to read it, prepare and ask us any questions. The pack includes maps, photos, information, and recommendations that you won’t find elsewhere. It is an invaluable resource that you will refer to every single day. Theoretically, if you know exactly what you want to see, then this travel pack could even replace a guide book. However, I still strongly recommend you do get the respective Destination Guide anyway, and to get that first. To decide that you want to visit a place you first need to know about it! Only in reading the Destination Guides will you become aware of what a region has to offer, how to plan and prepare for your trip, and also how that may change with the seasons. I have received countless emails over the years from people who told me that once they had read my guide book their plans for their trip totally changed. 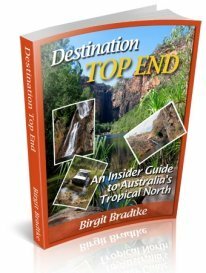 A Destination Guide gives you a detailed insider look at the whole region that only a local can give you. The travel pack offers photos, maps and specific suggestions which the Destination Guides don't, however it is restricted to the places that you actually visit, and you only get it after everything has been finalised. My strong advice: Don't finalise a trip to this region without having read the Destination Guide for it! Here is one last perk, and it's certainly not the least! You can contact Bluey Travel any time while on your trip! You will have access to their mobile phones and they are available to you anytime if you need assistance. If any issues arise during your trip, they will help you. This has come in very handy for my readers, for example when getting stuck somewhere due to unseasonal rain. For example during the unseasonal rains in 2016 the Bluey staff worked around the clock and re-arranged peoples itineraries, re-booked their accommodation and worked with suppliers to avoid no show fees for their customers. Bluey Travel have great relationships with all the suppliers and they work with Bluey to help their customers. When you look at all of the above it becomes clear that what Bluey Travel offer is a lot more than certain perks and savings. The customised self drive packages offer you a huge saving in time and headaches during the planning stage as well as wonderful peace of mind before and during your trip. I don't think you could put a price on that if you wanted to! Rather than charging you for this service, Bluey Travel earns a commission on your car hire and accommodation bookings. This will NOT make your booking more expensive! They guarantee this! Either it is the booking site where all the accommodations are listed. Or it is the person who referred you to the car hire website. Or it is Google or another advertiser, where the car hire company has to pay for advertising. and so on... Somebody earns that commission. The only exception may be a remote cattle station that you ring directly to make a booking. In that case there won't be a third party earning on your booking. Instead the accommodation providers will keep the fee, you could say as payment for taking the time to deal with enquiries themselves. Your price, however, is still the same! Your bottom line price is always the same, and it also is with Bluey. The only difference is that they are transparent about how they make money doing this. And that, because they have long established relationships with the car hire companies and accommodation providers, they can get you extra perks that nobody else can. And of course, that they can help and assist you in all the ways I outlined above! This business model also introduces restrictions: the free service is obviously only available to people who are booking their vehicle and accommodation through Bluey Travel. It is a very work and time intensive service. Unfortunately, if you have your own vehicle, at this time we can not provide you with that level of free help. Organising self-drive holidays since 1999. In that time Bluey Travel have helped thousands of customers travel the equivalent of over five million kilometres. Customers are extremely diverse, including young families, couples, groups, travellers with limited mobility through to two elderly ladies who wanted to explore the Bungles and Gibb River Road by 4WD on their own. They regularly get international visitors who have never driven a 4WD and are used to driving small hatchbacks and catching public transport in Paris or London. Whoever you are, whatever your dreams, whatever your fears, Bluey Travel have helped many others just like you in the past and therefore know exactly how they can best help you. ...get in touch with Bill Karis and his staff at Bluey Travel!